When you talk the founder of Business Over Breakfast Clubs International, Geoff Cox, over the phone from Birmingham England, you immediately get energized and you know you have met someone that has a passion for networking. Geoff sounds really excited about bringing his Business Over Breakfast Clubs (or as they are commonly called in the U.K, Bob Clubs), to Canada with the first ones expected to open in Ottawa and Toronto in early 2009. Started by the former IT sales professional while he was still selling to blue chip, hospitality and international companies in 2004, there are now 25 Business over Breakfast clubs all over the U.K. and with dozens more forming throughout other parts of England, India, South Africa, and Australia and now in Canada and the U.S.
BoB Clubs operate like other breakfast networking clubs, such as Business Networking International (BNI) where only one member of a business category is allowed to join, but with BoB Clubs, there is a major difference. If you join a BoB Club you only need to go to a meeting once every two weeks. Geoff’s groups originally met every week. However after polling the club’s members it was realised that most preferred meeting every two weeks. Members also quickly noticed that the amount of referrals did not reduce and that the real networking took place more heavily between meetings. BoB Clubs were also attracting members from other clubs that met weekly as these new members felt they could no longer make the time commitment or the pressure some organizations put on members to attend a meeting every single week as most already had plenty of other weekly family or business commitments. Another difference in meeting every two weeks is the added benefit of reducing the cost of meetings by over 50% through reduced breakfast costs and also a reduction of a member’s carbon footprint as well by over 50% through a saving of fuel and travel costs. Meeting every two weeks also reduces the stress on members to attend a weekly meeting and therefore BoB Clubs have a extremely high retention rate and this also makes it easier to ensure that more visitors can also attend every week. Geoff says that BoB Club members now see the meetings as more of a classroom to allow members to connect and learn more about each other businesses through one minute infomercials and presentations. Members are then able to take two weeks to develop qualified business referrals or find other ways to promote each others business through activities between each meeting. Members are also encouraged to network outside of the club environment as a way to increase more business options which in turn helps to grow the overall Bob Club network. Unlike BNI which focuses on pushing members to give referrals, BoB clubs do not pressure members to give referrals every week as this tends to generate bits of paper instead of good solid business opportunities. Instead BoB Clubs focus on providing innovative online tools to train members in other aspects of selling and promoting club services and stressing why business building and why quality permission based referrals are important to the growth of the club. The club uses a referral slip that also better pre-qualifies the referral by asking more direct business questions and making sure there are more details for members to consider. The Clubs also provide members access to powerful online tools, including online referral programs, a high quality membership pack and additional benefits and value added business services at no additional charge. BoB Clubs also utilizes online technology as much as possible to ensure that running and marketing the clubs is as automated as much as possible and therefore removes much of the manual effort required by the leadership team and the members. Club members also have access to a powerful online Business-2-Business website called www.network2connect.com where they can network with many tens of thousands of other business people locally, regionally, nationally and even internationally. This allows a club member to look for opportunities for each other as it is available to any business, not just BoB club members. In January 2009 BoB Clubs be launching two new clubs in Mumbai, India and then expanding throughout India, at the same time BoB Clubs will open the first clubs in South Africa and has hopes to have the Canadian clubs open in Ottawa and Toronto, Ontario later in the year. At the present time Geoff has interest from other 8 other Canadian Cities and provinces such as, Fredericton, New Brunswick, Vancouver, B.C. Oakville, Toronto, Mississauga, in Ontario and U.S. markets like New York, Lexington and San Francisco. In Canada it’s expected that club memberships will include a participation fee of around $480.00 to join along with a one-time registration fee of $120.00 plus GST with a similar fee range for the U.S. market to be competitive with other clubs. BoB Clubs are not only a good networking group to help build one’s own business and can also be a great small business networking opportunity as a Bob Club coordinator can build a network of members and a small business opportunity at the same time. This is done by coordinating a club, setting up the venue and encouraging members to join and earning 50% of all club membership revenues. The role of Regional Membership Coordinator will allow these individuals the opportunity to licence the club management system in a protected territory and own their own clubs. In this case 15% of all membership fees are remitted to BoB Clubs and the owner manager retains the rest of the membership fees and has a option to open up a number of clubs in his or her area. This is all done through an online payment and marketing system. Although BoB Clubs does not sell franchises, as Geoff says this tends to attract to wrong type of people that don’t want help build a networking system, but by selling regional club management software licences it gives those individuals sincerely interested in building a business and a business networking group in a protected area by owning a protected area or city a real opportunity to have a business that helps others and has residual income at the same time. For more information on BoB Clubs in Canada contact Kensel Tracy at kenselt@sympatico.ca or Geoff Cox at BoB Clubs International at bobclub2003@aol.com. 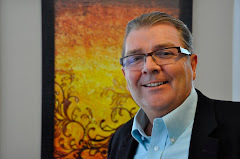 Kensel Tracy is a business coach and Senior Partner in the Corporate Coachworkz Inc. located in Chelsea, Quebec.